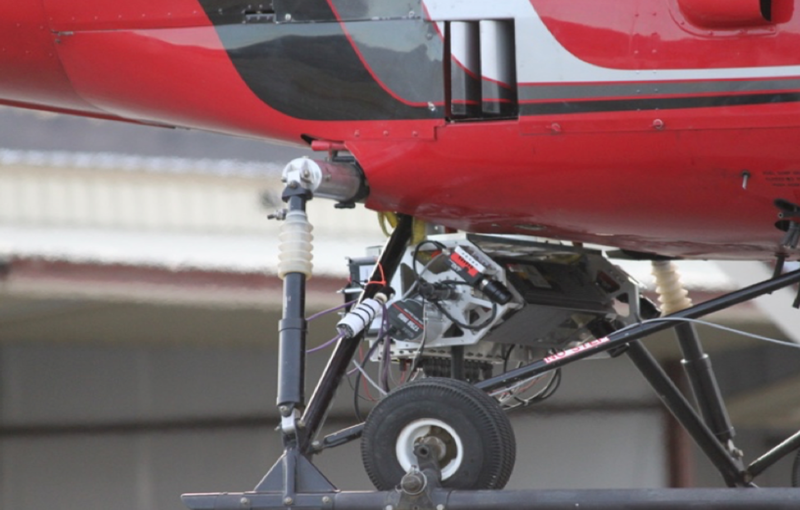 This paper from Carnegie Mellon University (CMU) discusses recent research using visual, inertial, and LIDAR sensors to create a model of a collapsed planetary pit or skylight from an aerial landing vehicle. Many scientists believe that such relatively protected underground caves are probably the best candidates to contain life, as well as being targets for possible future spacecraft, robots and even human interplanetary explorers. KVH’s high-performance 1750 Inertial Measurement Unit (IMU) used in the pit modeling system provides positioning, linear acceleration and angular velocity data to the system. CMU is a leader in this research and has over a decade of experience working with the National Aeronautics and Space Administration (NASA) researching many of its most innovative and advanced concepts for space exploration. 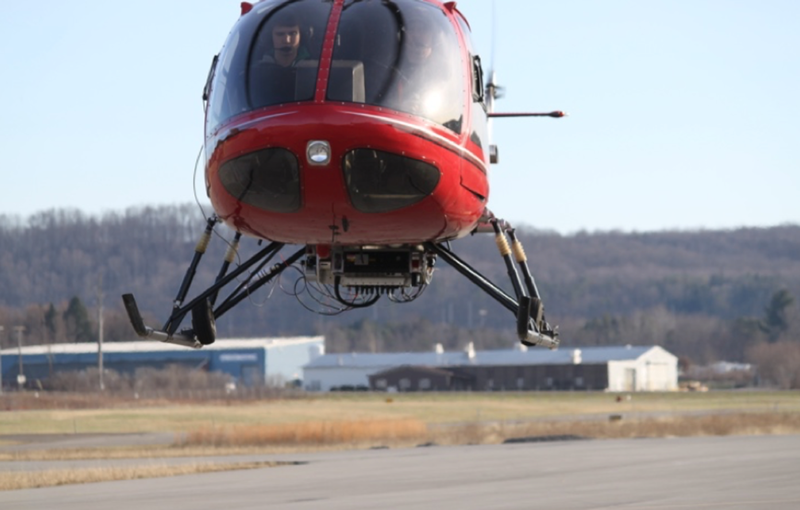 The CMU modeling instrument is mounted to a helicopter for initial flight testing. 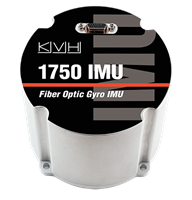 The KVH 1750 IMU offers excellent shock, vibration and thermal performance, essential for aerial mapping – and interstellar missions. 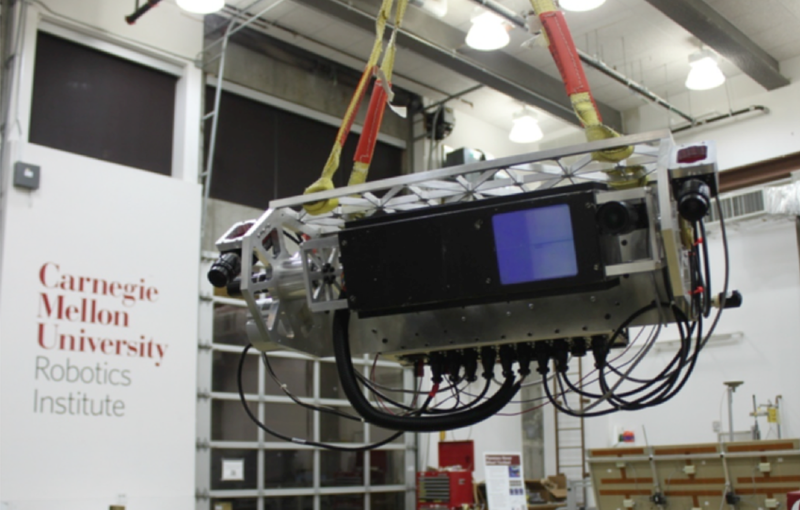 The developed pit modeling instrument is prepared for testing in the Carnegie Mellon Robotics Institute Lab. 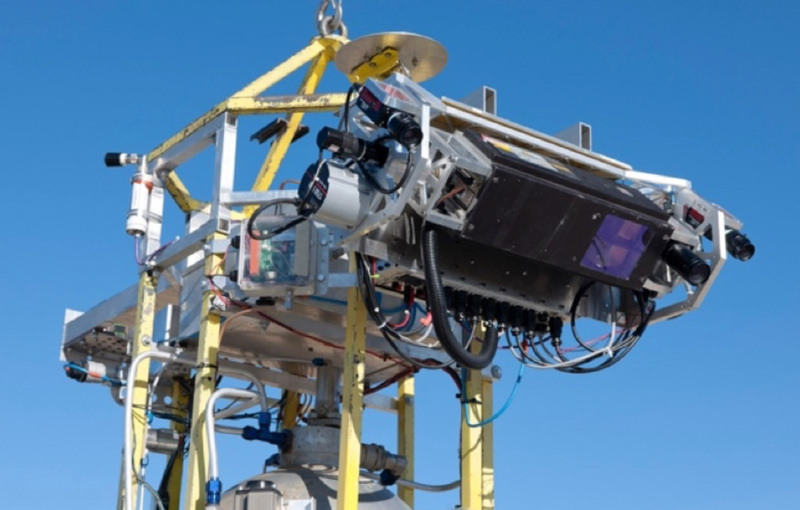 The pit modeling instrument was also integrated with Masten Xombie sRLV to provide the most relevant terrestrial testing environment possible.